As the Whorl Spins: Optimism. Or Not. I'm sitting here this morning feeling all mellow and relaxed and really not caring that I have Important Real Life Things to do. Things like going to the store to buy soy sauce and baking powder. Things like getting my glasses repaired. Things like folding those two loads of towels on the couch. ...340 yards of Paco-Vicuna (28 g), about an 18s/52 wpi. It is going to be something lacy, of course. Possibly an Emily Shawl (Rav link). But the real question is to dye or not to dye. The natural colour is a lovely, rich, warm beige that I hate to cover up, but beige and I decided to part ways a few years back when my hair turned white. Blue would be better, but the natural is so pretty. So I knit and stare and ponder. ...Big Pile o' Mo. Because checking it every five minutes will make it dry faster. I spent part of yesterday washing marvellous kid mohair locks in natural colours with the vision of a fabulous monochromatic tail-spun yarn that will become the most glorious scarf in the history of the Universe. 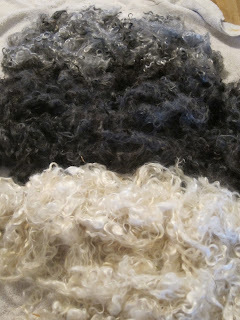 But mohair dries in January at about the same rate molasses flows in January. So I check and I ponder the marvellous yarn yet to come. All this knitting and checking and pondering has led my mind down a few stray paths, too. Which brings me to the topic of today's sermon. Optimism, or the lack thereof. This does not mean that I don't notice the bad things. Or that I don't complain. I do both. Lots. But I get over it, or find a way to turn it around. I make a joke and move on and embrace the joy in life. Even the Real World seems to be in a bad mood. On two separate occasions this past week, strangers in check-out lines started conversations with me. Normally, this would delight me, but these conversations were just openings for them to vent their spleens to a stranger. (And, as a side note, to the man who believes that photoradar is just a cash grab by the Municipality because they nailed you 3 times on the same stretch of road: STOP SPEEDING and the Municipality will stop grabbing your cash. Just sayin'.) Cashiers and servers grumble about the winter weather, which, in my opinion, has been exceptionally mild this year. Well, okay, they reply, then say "but just wait, we're gonna get nailed." You know, when you dwell on the negative, pretty soon it's all you see. I'm pretty sure that there are a lot of people out there who are missing some pretty awesome adventures because all they can see are the roadblocks. There is a silver lining to every cloud, but there seem to be a lot of people noticing the cloud to every silver lining these days. So is it just the January Blues? Or is everybody depressed because the Mayans are going to end the world this year. (Or because the Family Radio Network failed to do so last year?) Or is this because there is too much bisphenol-A in our drinking water? Or do this many people just see the glass as half empty? Well, you know what the optimist in me says to that? "Glass half-full. Glass half-empty. Who cares? We've still got wine either way!" I think I am the same kind of optimist as you are and I have noticed this same sort of yearly malaise. It seems to happen each year about the same time and makes me wonder what the world is coming to. At this time I stop reading comments on blogs, I winnow out my Ravelry groups and I start to tune my husband out more than the usual. In a few months the mass negativity seems to pass and I re-up on some activities. Don't know if I am more sensitive during this time or everyone else is more negative. I just know that more people should engage their brains before engaging their mouths/pens. I hope your period of noticing all the negativity passes quickly. I want my "rose" colored glasses back also. Have a lovely rest of the month. 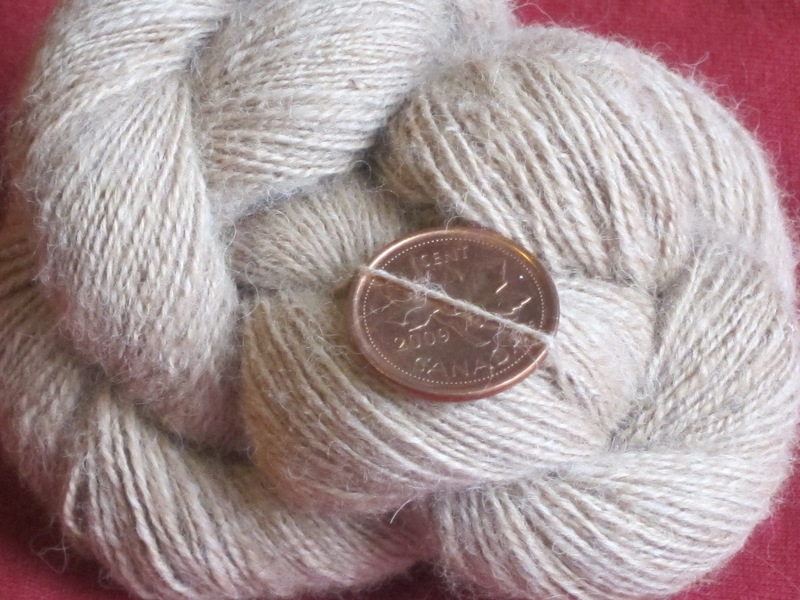 Whiteoak on Ravelry. I totally share your thoughts. A friend, whom you know, asked me yesterday what 'uppers' I was on.(!) She just couldn't see things as I do. In general though, complaining can become a habit, which is not a good thing. There is a time and place for it and that time is not 'all the time and the place is not everywhere'. mmmmmmmm.......the Mo' is simply MARVELOUS! I deleted my Facebook, maybe in haste, but nevertheless it is gone. I have regained hours back to my life and still do not have enough time in a day to get what I want done. Looking forward to working with you and then, looking forward to just having coffee and a chat!! I'm blessed with fairly optimistic friends...mind you it took a while to tweak my settings and friend list to get it that way. I did so after I realized I was only hearing from the negative vocal and argumentative people and things like vacation photos, baby announcements and wedding news were slipping thru the cracks.